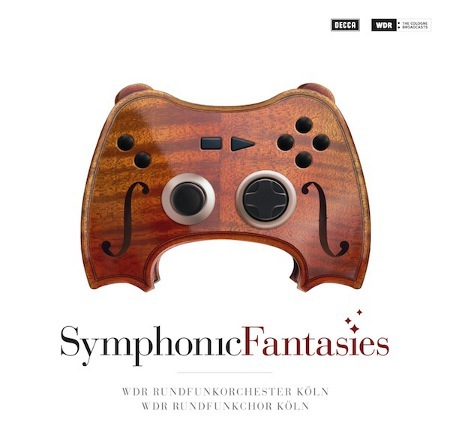 Due for release this month, on the 17th of Sept, is the CD entitled Symphonic Fantasies. Recorded during the concert of the same name 12th Sept 2009 at the Cologne Philarmonic Hall, the WDR Radio Orchestra and Choir, Benyamin Nuss and Rony Barrak, led by Arnie Roth, performed a set of medleys spanning music from Kingdom Hearts, Secret of Mana, Chrono Trigger and Final Fantasy. The multi-track recordings of the concert were edited and mixed at WDR Studios, capturing the best dynamics for all 120 musicians. The final mastering process took place at Abbey Road Studios, in London. The Secret of Mana track contains music from “Angel’s Fear”, “Flight into the Unknown”, “Eternal Recurrence”, “Premonition”, “The Sorcerer”, and “Rose and Spirit”, as well as a boss battle encore suite which included “Meridian Festival”. Each track is in excess of 15 minutes. For now the CD is only going to be available from Germany, either from the WDR Shop or Amazon.de, and while they do international shipping it’ll cost you a pretty penny. Maz-Sound do shipping outside EU for 6â‚¬, which isn’t too bad. Expect international releases to follow later. You can also buy an MP3 version from Amazon.de. The cost of the CD is between 14,95â‚¬ and 19,95â‚¬, depending where you buy it from.